Eggs and art. Those are two words most people don't often connect, unless it's spring and one is thinking of Easter. 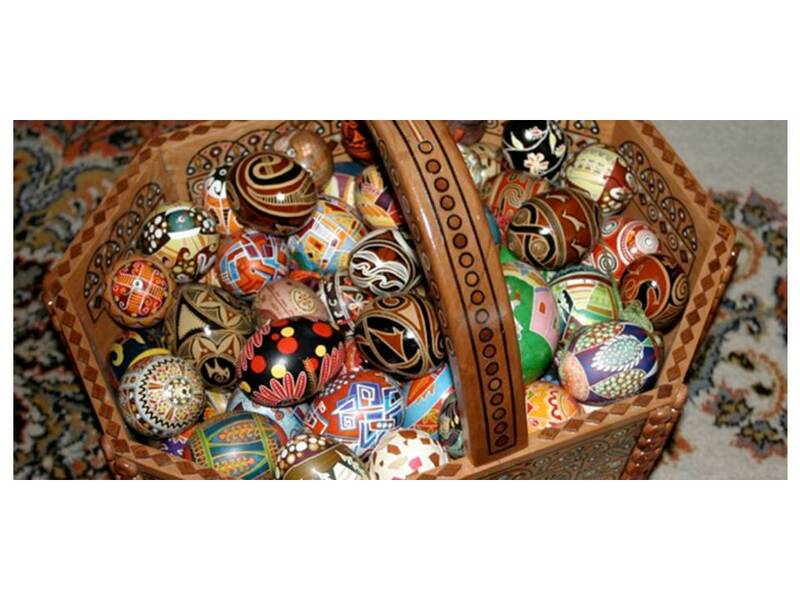 In the Ukraine, though, egg art is a centuries old tradition, and people design and decorate the eggs year-round, as well as collect and prize them as fine and treasured art.